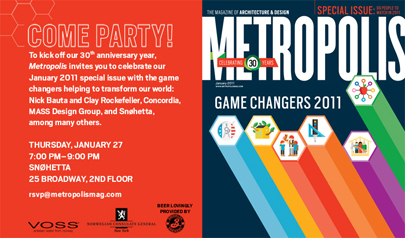 We’re going to party with our friends at Metropolis Mag as they celebrate their 30th Anniversary and honor the game changers in architecture and design. And check out this issues cover art! Amazing. See you there. Be sure to say hello.